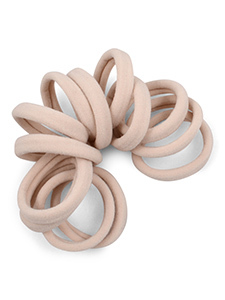 Blonde elastic hair ties to match your hair color for a barely there look. This is one of our most popular sets and was created with golden colors inspired by light color hair. 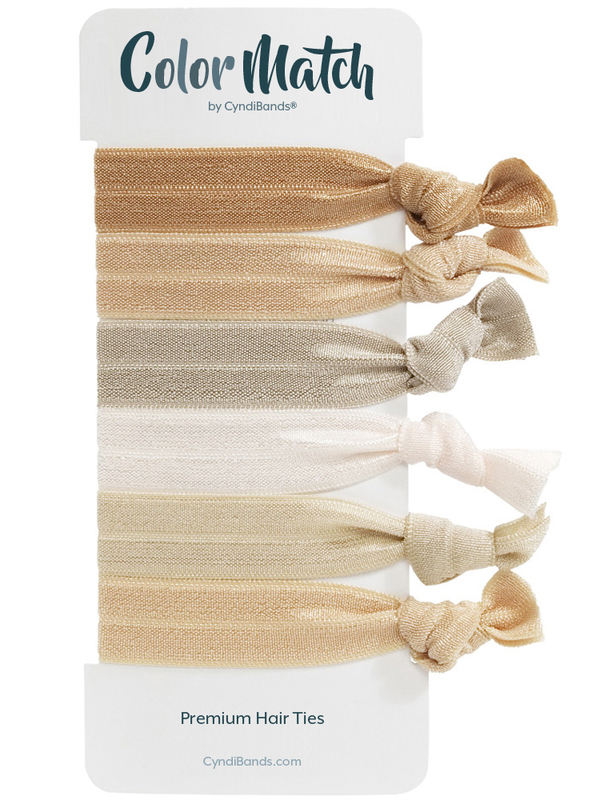 Colors from top to bottom: Golden Blonde, Medium Blonde, Ash Blonde, Platinum Blonde, Beige Blonde, and a second Medium Blonde color hair tie. These do not have metal like so many others that break your hair, plus they look nice. Hold my fine hair well. 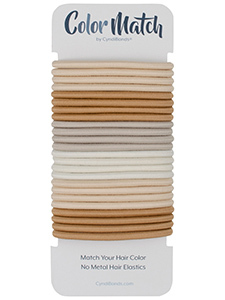 This is my favorite brand of hair ties because I can't find these colors for my blonde hair anywhere else.